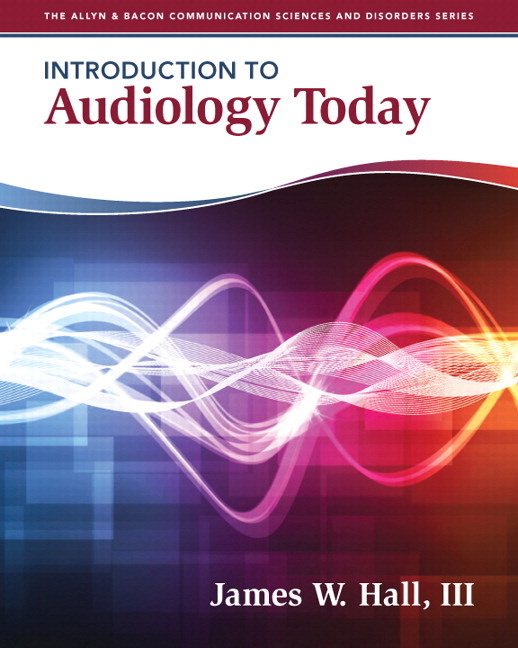 Encourage readers to grapple with the concepts and ideas of the audiology profession. The book incorporates discussions of the latest advances in hearing science and clinical practice. Stimulate deep reflection and application of learning. The book features many figures and original high quality digital photographs to further explain and enhance the written text. Provide expertise from the field. The author is an experienced and licensed audiologist who regularly provides services to pediatric and adult patients in varied clinical settings. The Leaders & Luminaries showcases other audiology experts. Frame the concepts. Each chapter begins with a concise Chapter Focus that orients the student to topics covered in the chapter. Explore further content. WebWatch feature highlights Internet sources of current information on the topic(s) covered in the chapter, including videos showing hearing tests or treatments. Enable self-assessment of learning. Each chapter ends with a Pulling it All Together feature summarizing topics that were covered in the chapter. Highlight rationale and trends. Book covers how audiologists assess hearing and manage hearing loss and also emphasizes the reason for the diagnostic and rehabilitative procedures and strategies.